I’m not the first person to jump up and say, “I am a sports fanatic!” However, I sure do enjoy watching college football and basketball in particular. 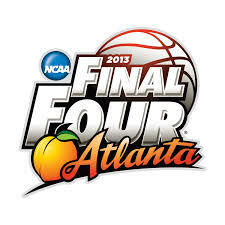 My favorite month being March for many-o-reasons, hosts one of my favorite sports events of the year – MARCH MADNESS. I can’t get enough of it. 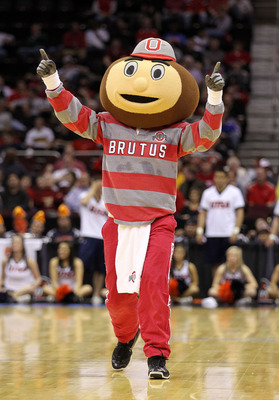 I am a very open and proud fan of THE Ohio State BUCKEYES. Ever since I was 9 years old, watching some of my favorite athletes hailing from the great university, I was set to attend OSU. Of course change in career fields can add a kink to that plan. I started out high school set to go to OSU to major in Pre-Med or Biology and move on to become a Neurosurgeon. Yeah, don’t ask me where my obsession with dissecting brains and such came from (I couldn’t tell you), but I was fascinated by the occupation and desired to make that my path. Well, one demotivating Chemistry teacher Sophomore year of high school and a switch from left brain dominance to right and this lil’ Miss wanted to be a fashion designer. I had all of the best intentions of attending OSU and would have gone, with one MAJ set back, no fashion design program (of course they now have a Fashion and Retail Studies program)! Even if they did offer such a major, would I want to learn fashion design at a state university in the Midwest?! Probs not. So I choose a practical arts school here in the fair city of Chicago. Yes, I was still in the Midwest, but I was in a relevant and major city in the U.S. Problem with art school? You guessed it, we didn’t have any sports teams. I mean, c’mon, what would our mascot be, Cutty, the X-Acto blade? So, I semi-abandoned following sports while focusing on all things fashion, while stuffing four years of college into three (yeah, overachieving is how I roll). Of course, the majority of my friends in college were guys and girls who were more like “bros” who loved their college football. I watched a game or two with peeps (more often participated in playing said sports), but it wasn’t until I graduated college and allowed myself breathing time to get back to the “necessities”, my Buckeyes football and basketball. March Madness is just such a refreshing time of year to root for more than one just team in the brackets. I have had my Buckeyes in the Final Four for the last 4 years, good or bad. The fun is trying to see who else will advance. Now I never put down bets for the bracket, I just like to watch how my predictions pan out and see just how right I will be. Last year, I had three of the four final teams accurately predicted. A friend pointed out that hardly anyone had that accuracy and I could have put a bet on my bracket to win BIG. Well, I don’t gamble, any time I’ve ever bet anything, I lose, but if I keep it to myself, I lose nothing and can give myself a pat on the back at the end of it all. What is also so “special” about March Madness is rooting for teams you’d NEVER, EVER-EVER root for, because you have them advancing. It’s funny how my my heart pounds if my predicted winning team is losing and they can possibly pull it off in the final moments of a game. Take Marquette against Davidson today. I seriously thought I might have a coronary at my desk. Now, I know that seems dramatic, but it took some time for my pulse to return to normal. What an exciting game! So what do I look for in a March Madness? Insane matches that keep me on the edge of my seat until the final millisecond, upsets, my OSU Buckeyes advancing to the final four, only to be knocked out by fellow #2 seed team Duke. Let’s be realistic, it will be a tough battle and I know my guys can only make it so far against the match ups they’ll surely face. (Sorry Thad and fellas) I have Duke making it to the championship game to lose to Kansas. Why do you ask? Because I said so. That’s what I predicted and I don’t have a rhyme or reason. I just I know that I don’t want to give Indiana the title (gross) and Kansas made it into the Palindrome final, as I dubbed it, last year against Kentucky. They’re a strong team and are in the #1 seed for a reason. Duke is a great team, but haven’t had the best season this year. Ya gotta keep it real. Of course the final thing I look for in a March Madness is hanging out with my friends and fellow college basketball fans to enjoy games, scream at the screen, eat, drink, be merry, and celebrate and commiserate together. Anyway, there’s what I look for. Who are your winning teams? Do you still have a near perfect bracket? I know you probably didn’t have Harvard beating New Mexico, like I did. *wink* Share your picks below! I’d love to know your opinion!